In this post, I am listing the top 8 WordPress tools that help developers with their website development process. The Theme Check plugin is an easy way to test your theme and make sure it is up to spec with the latest theme review standards. It is one of the top must have WordPress developer tools. With it, you can run all the same automated testing tools on your theme that WordPress.org uses for theme submissions. This is handy for theme developers, to make sure that their theme supports the latest WordPress theme standards and practices. The Monster Widget plugin provides a quick method of adding all core widgets to a sidebar for testing purposes. It consolidates all 13 core widgets into a single widget enabling theme developers to create multiple instances with ease. It has been created to save time during theme development by minimizing the steps needed to populate a sidebar with widgets. 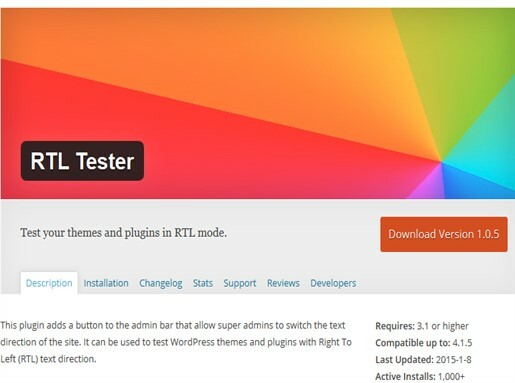 Test your themes and plugins in RTL mode. RTL tester enables the user to read and write from Right to Left. After installing this plugins, a RTL tester button will show on the admin panel. It is used to test WordPress themes and plugins with Right To Left text direction. 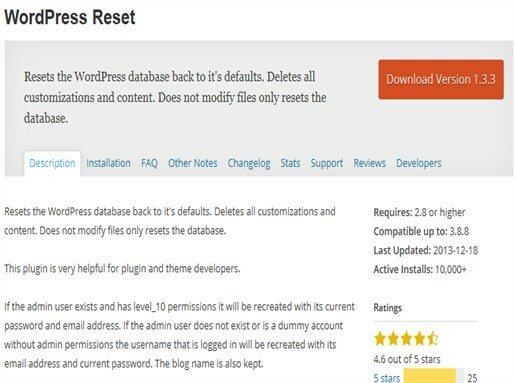 The WordPress Reset plugin is very helpful for plugin and theme developers. It resets the WordPress database back to it’s defaults. Deletes all customizations and content. Does not modify files only resets the database. 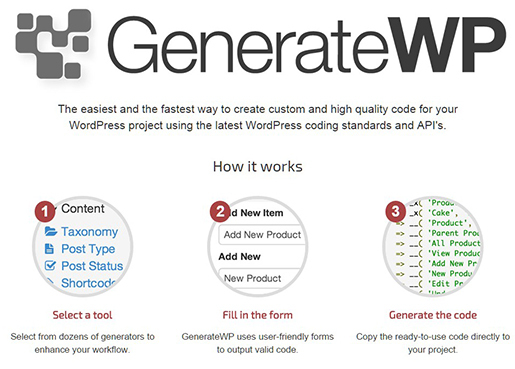 Generate WP uses user-friendly forms to create custom and high quality code for your WordPress project using the latest WordPress coding standards and API’s. 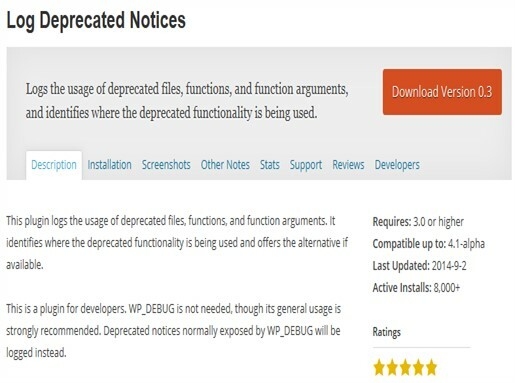 Log deprecated Notices plugin is for developers. It logs the usage of deprecated files, functions, and function arguments. It identifies where the deprecated functionality is being used and offers the alternative if available. 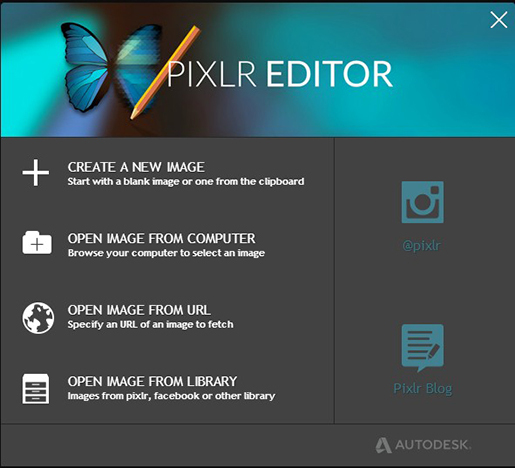 If a developer wants to create or customize an image to use on a WordPress based website then this Editor helps a lot. The best thing about it is that it is totally free and works over the web. This is your free substitution of Photoshop and it is not WordPress specific. The EWWW Image Optimizer WordPress plugin reduces file sizes of images using loss-less or lossy methods and image format conversion. These are the 8 Best Tools for WordPress Developers to create high-class websites and speed up the development process. Check them out! 54 queries in 0.340 seconds.